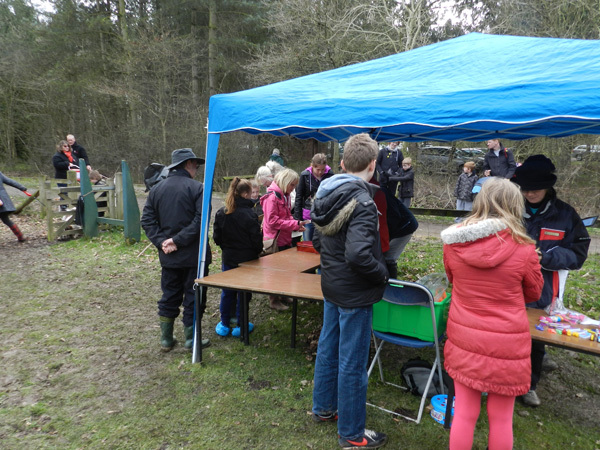 Around 70 children took part in our Easter Trail on Monday, accompanied by their parents or grandparents. They followed a list of clues to find eggs labelled with letters, making up a Spring word, counting bunnies along the way! Once they completed that, the second quiz was a misplaced article competition – items that should not be in the wood – as expected not many people got them all correct – some items were quite hard to find! Luckily the small prize at the end was not dependant on getting the right answers. Three Counties Dog Rescue had a tombola and bric-a-brac stall, and there was also a craft stall and a plant stall along with a chance to have refreshments after looking for all the clues. Enjoying one of the many stalls. The weather made the setting up of the event very difficult, but the afternoon turned out fairly pleasant and we are very grateful to those who supported us. Many thanks to all those that helped make the day possible by helping out in such dismal conditions. 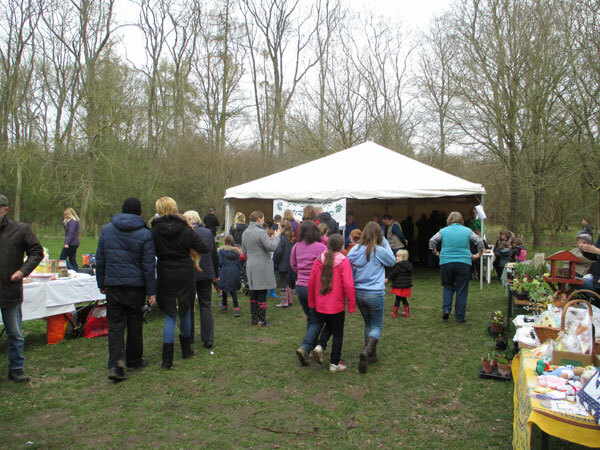 Around 240 children took part in our Easter Trail on Monday, accompanied by their parents or grandparents. 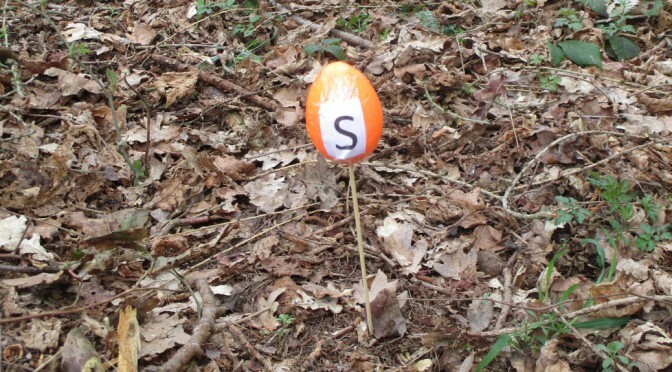 They all searched for hidden eggs along a trail in the wood, answering a quiz as they went. 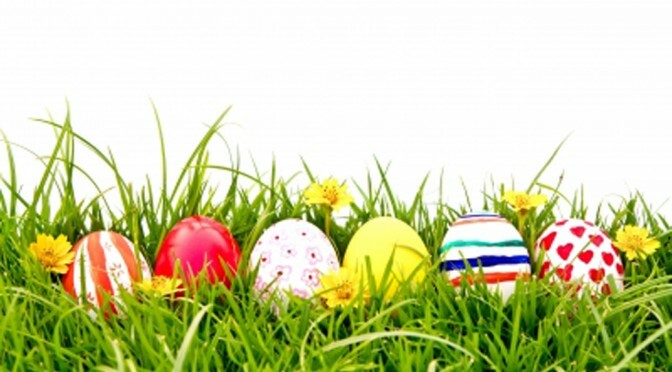 The eggs were of different colours, and some had letters or names to look for in order to answer the questions on the quiz. Searching for Easter eggs in Bourne Wood. There was also a wildlife quiz where they had to identify the animal or bird and then use a letter from each to find another animal. Each child could then choose a small prize, whether or not they had all the correct answers! There were tombola and bric-a-brac stalls; and there was also a craft stall and a plant stall. 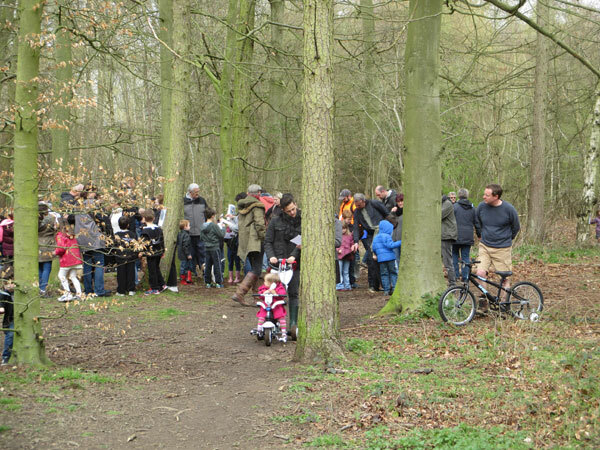 The weather was very kind, leading to a very good turn out and the Friends of Bourne Wood are very pleased with the day. Many thanks to all those that helped make the day possible.